The NYX Felt Tip Liner in Dark Brown has literally been a God send. Although for some reason I can’t find this on Boots or the official NYX site for that matter, so I just hope the place I’ve linked is legit. I bought this in my local Boots anyway, so I can only assume they’re stocking it in stores?! Anyway, this eyeliner is amazing if like me you’re pretty rubbish at achieving the whole cat flick thing or are a beginner with liquid eyeliner. I was determined not to give up with liquid eyeliner, as I knew I’d get it the hang of it at some point. And hallelujah I finally have (just about). I’ve been obsessing over NYX lately and have bought quite a bit from them already and this was just another thing that managed to find its way into my basket. I decided instead of going for a black eyeliner I’d go for something a bit more natural, so I picked it up in dark brown. This honestly makes it 10x easier, as it looks much more natural once on the lids and any mistakes can easily be rubbed away. The nib on this felt tip liner is stiff and doesn’t move at all which I personally find very helpful. Its easy to keep a precise line as the nib isn’t moving about in all directions. If you’re a beginner with eyeliner or just rubbish at it like myself, I’d highly recommend giving this a go! Also creds to Char from Chars Little Blog for coming up with the title for this post haha (go over and say hi to her, love her blog)! 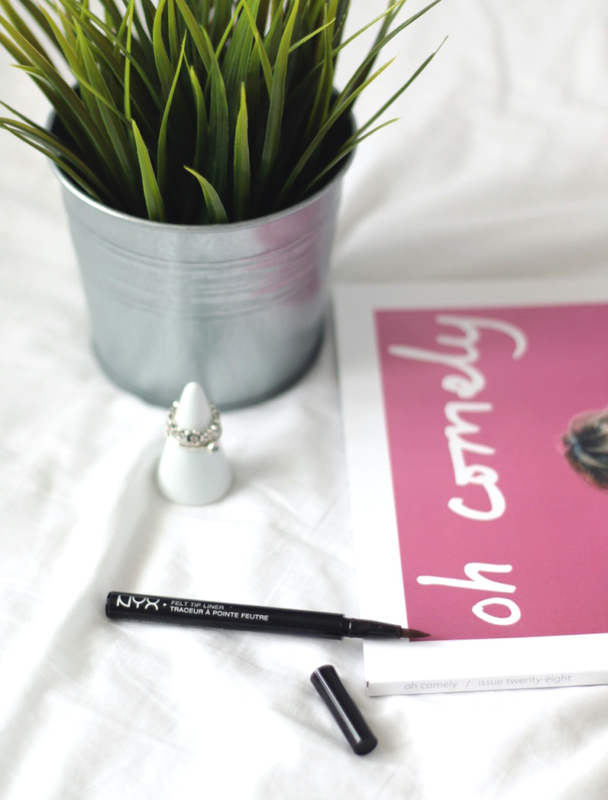 Whats your favourite liquid eyeliner?